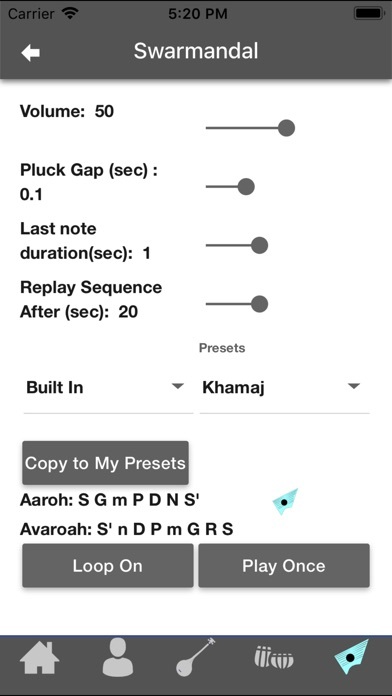 This app provides realistic sounds of Indian Drone Taanpura, and Rhythm Instrument Tabla. It provides reach features to play different styles, vary tempo and pitch. 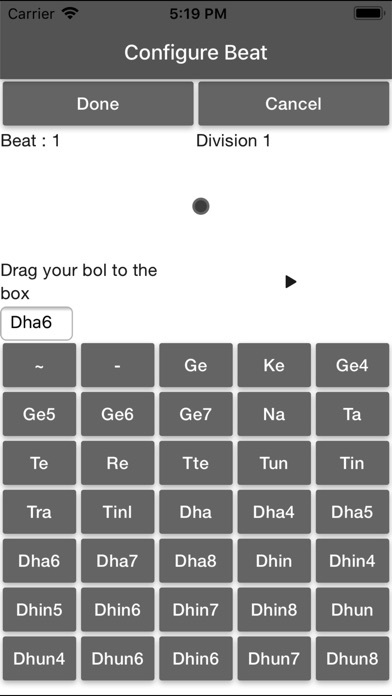 It also has a style maker (Taal Maker) for tabla that allows you to build your own styles. It has built in harp like instrument "Swar Mandal" that can be set to required ascending an descending notes as per Raaga. It can be played in a loop or played live. Manjira support is included for most taalas. The app is designed make your accompaniment experience an daily riyaz enjoyable and flawless. 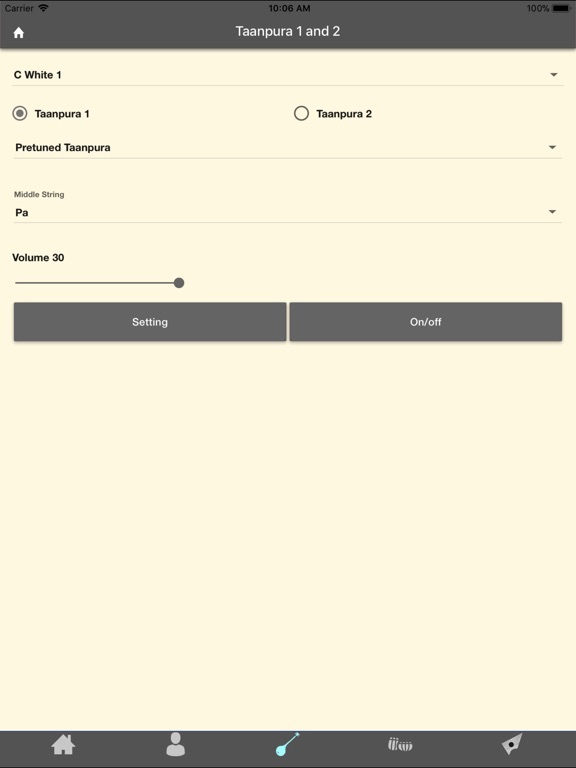 -Option of prerecorded taanpura sounds with highest quality or use custom taanpura taanpura that allows you to adjust sound quality of each string. - Two taanpuras, independently controlled. 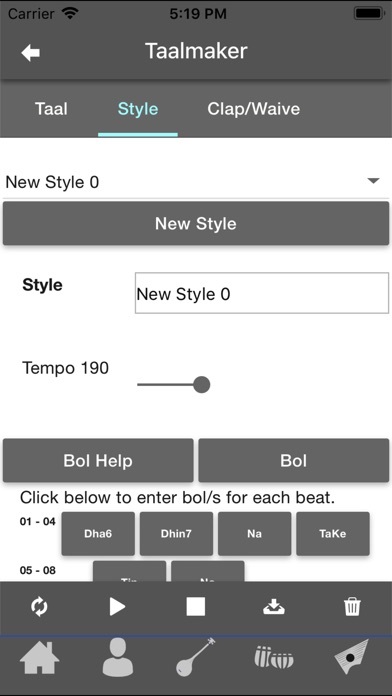 -Tabla feature that plays real sounds, at a tempo from 30 BPM to 640 BPM flawlessly. -A wide variety of Taal and Styles, include auto feature that automatically chooses styles based on the tempo. 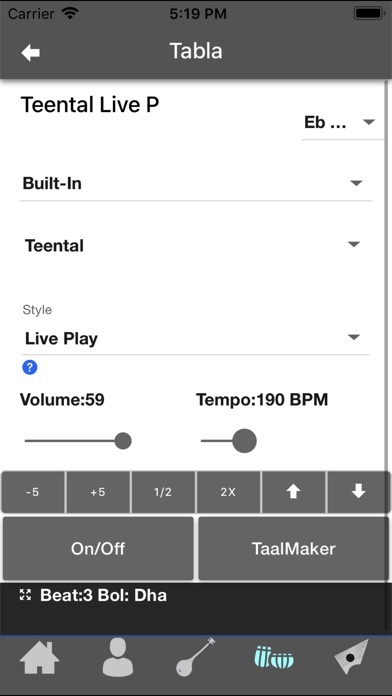 - Change key/tempo app wide. 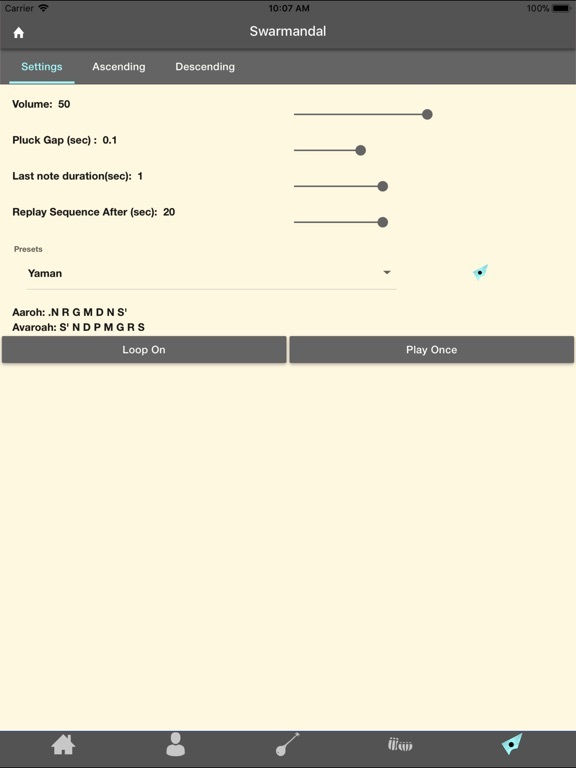 It also has option of fine tuning that works on all instruments. 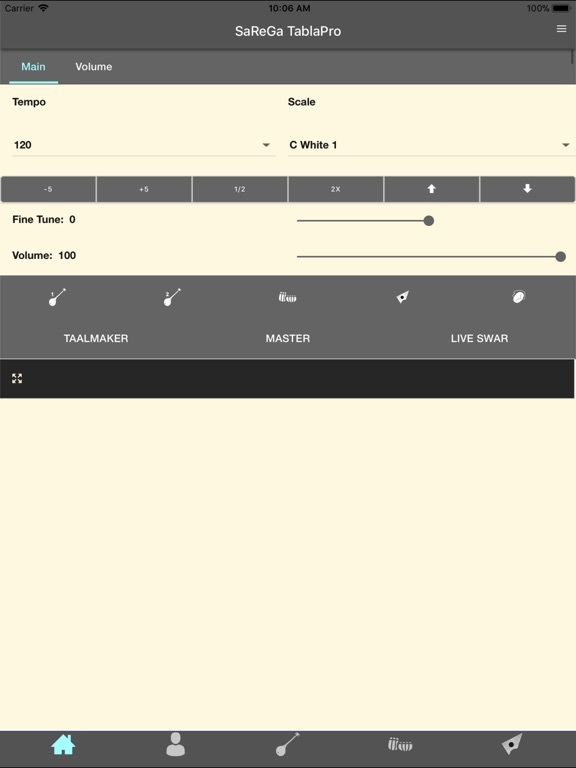 -Taalmaker feature that allows you to build your own rhythms and styles. All you need to do is to drag/drop right bol to the beat area. No keyboard required. -Store and retrieve your own presets for swarmandal. - Demo version allows trial for 60 days after install and sign up. - InApp purchase include tabla and swarmandal packages that cover all the features. -Taanpura will always be free. 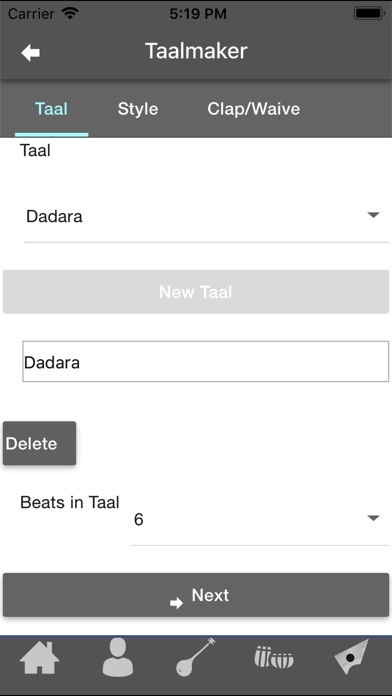 Users are encouraged to add their own taal and styles and the possibilities are infinite. 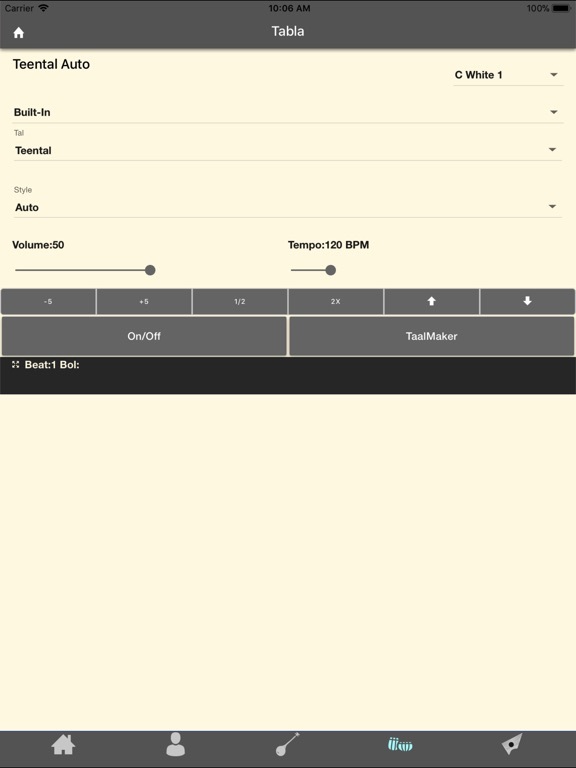 Users can add there own presets and save those. Sarega TablaPro is capable of offline authentication. User may choose to use anonymous login with a limited functionality. Manjira can be activiated by setting manjira volume to greater than zero in volume tab of dashboard screen. Internet connection is required for the app to start only for first time. The data is saved on cloud. App size is only 25 MB.